There's been some speculation as to when Android Pay will hit the streets, but now we're hearing straight from the mobile maker's mouth that the payment system's release is imminent. 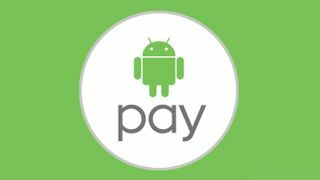 "Looking forward to #AndroidPay? Stay tuned. #soon," reads a tweet sent from the official Android Twitter account at 3:40 pm Pacific. Just how soon is soon, we don't know. The Android Pay website still says, "Coming soon." A report from earlier this week indicated Android Pay could launch August 26 (a.k.a. today), at least in the US. The word came from a few tip-offs - and mega burger chain McDonald's - that Google's answer to Apple Pay would be ready for public use today. Weirdly enough, however, the same report said Samsung Pay would launch August 21, even though Samsung itself has said its payment option isn't due until September 28 in the US. TechCrunch, citing sources familiar with Google's plans, also reported today that Android Pay won't be out this week. We see no evidence that Android Pay is available to use now, as the first report suggested it would be. The tweet from @Android seems to be an attempt to calm the waters a bit, letting folks know Android Pay is on the way ... soon.